Is Your Company Ready for Game Day? We know how hard it is to win with customers. And in a connected world, it’s not getting any easier. It can seem like every day is now game day. Customer expectations are higher than ever, and with the combination of mobile, social and apps making everything real-time, every company needs to think about a connected customer experience. Every company should be thought of as a team, with everyone working toward a common goal — winning. The best teams work from a strong playbook. To win on game day, you need to make sure you have the right strategy to beat the competition and win with your customers. A “GameDay Playbook” will enable brands to improve customer experience, customer acquisition, and customer retention. The benefits are not only external, but internal as well. A GameDay Playbook unifies business units across the organization, improves cross-team communication, and helps brands make smarter marketing decisions. So what does a GameDay Playbook look like? 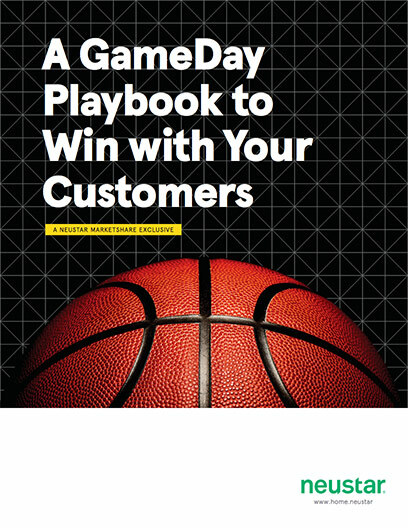 If you think of every customer interaction as an opportunity to “win” with your customer, then the GameDay Playbook is your collection of strategic, predictive and choreographed marketing plays aimed at customers, while also setting up your brand to play offense instead of defense. At a minimum, you get to identify a set of customer attributes to target. But in a best-case scenario, you’re able to implement a GameDay Playbook that authoritatively maps those attributes across people, places, and things to connect the right customer with the right message at the right time in order to influence their decision-making. The GameDay Playbook enables your organization to connect the dots, helping you create true customer-focused marketing. So what stops an organization like yours from achieving this best-case scenario? Typically, the main hurdle is internal. There are five major challenges to undertake before a company like yours can implement a true customer GameDay Playbook. Marketing silos are one of the most common challenges most companies like yours face. Breaking through these silos will be a key ingredient to implementing a customer GameDay Playbook, so it’s important to understand how they develop and the effect they have on your organization. For instance, your channel and brand managers generally focus on day-to-day results. They likely don’t take into account how their activities affect the big picture and don’t always coordinate their efforts across your marketing organization. As a result, each individual channel ends up inflating the credit given to its marketing silo. A good example of this can be seen through last-touch attribution. When the final sales numbers are aggregated at the highest marketing level, all the silos might get combined and you’ll end up duplicating conversions, which skews the overall ROI. Your marketing department’s activity will get undervalued when presented to finance and it won’t align with actual revenue numbers. This can lead to a lack of respect for your marketing team’s work and result in a communications breakdown between Marketing and Finance. A breakdown between your two top organizational powerhouses is the second challenge that penalizes your marketing success. A recent Forrester survey of 200 CMOs and CFOs showed that only 15% of companies surveyed believe their marketing and finance teams plan and work collaboratively toward shared goals. The astonishing fact is that more than half of those surveyed believed alignment between these two departments is critical to their company’s success. Why is there such a disconnect? According to the survey, a lack of communication and defined common goals are the central causes for the disconnection between Marketing and Finance. The responses of those interviewed show that these two groups have different views on their core KPIs. The survey respondents were in overwhelming agreement that this difference of opinion causes Finance to view Marketing as a cost center instead of a profit center. Jim Nail, Principal Analyst at Forrester and author of the report, suggests that better and more frequent communication between Finance and Marketing is a good first step to bridging the gap. He also suggests that aligning the two groups on KPIs in regards to marketing analytics is critical to the business succeeding. Once you have agreed on your core KPIs, you need a consistent method for analyzing your marketing activities and predicting the best way to spend your next dollar. This is where many organizations like yours can become indecisive and confused. There are many types of marketing analytics methods to choose from, so you need to find something that is tailored to your business needs. Your chosen method should account for all your online and offline activities and must be flexible so it can adapt to new channels, given the continuing evolution of different marketing touchpoints. This is where marketing planning and resource allocation rises above the pack. These sophisticated scientific models take into account all of your business drivers, including online/offline marketing activities, as well as influence factors that are out of your control, such as the weather, the economy or gas prices. These custom-fit models have forward-looking planning capabilities that arm you with the data you need to make smarter marketing decisions. Because they are custom-fit to your needs, they have the ability to expand when new channels are added. More advanced solutions include customer propensity, enabling you to incorporate your customer data to help determine any pre-disposition to convert. Of course, including customer data is only useful if your information is authenticated and current. Like most organizations, you probably have a CRM database. But how often is your customer data updated, and what information do you actually store? Your customers can move, change phone numbers, and frequently add or switch devices. Are you keeping up with their changing habits? How are you capturing all your interactions with them, both online and offline? Of course, online you are tracking them using cookies, but how fresh is that data? Cookies are generally stale after 30 days. Your customers are dynamic. Basing your marketing plan on a stagnant, outdated view of them leads to wasteful spending. What you really need is a customer graph that connects your first-party CRM data with second- and third-party data, in a continually authenticated “always-on” method that creates a complete, accurate profile of your customer. Your active customer graph, a key component of the GameDay Playbook, should always be ready to accept new types of customer connection points, as it tracks every interaction with your brand, giving you a full picture of the customer conversion path. Understanding the customer’s path to conversion is key to influencing their journey, but are you missing a key opportunity to create a customer-led organization? This is the final challenge where many organizations like yours stumble. You dissect the customer journey and claim to put the customer at the heart of everything you do, but are you truly considering the customer experience every step of the way? Many companies like to think of themselves as “customer focused”, but in reality everything they do is about the brand. As the saying goes “enough about me, let’s talk about what you think about me”. These brands are so busy trying to predict their customer’s next move in an attempt to influence it, they sometimes overlook the overall experience they’re creating. A true customer-focused organization will consider the customer’s experience with the brand at a holistic level and include frequency caps at the portfolio vs. product level. “Cathy” received an offer today from “NoName” bank, giving her $200 if she opens a new savings account with them in the next 30 days. She receives this offer about once every three weeks due to the frequency cap the marketing department has put on banking offers. In the past two weeks, she received three different credit card offers from the same institution and tomorrow she will receive her fourth opportunity to renegotiate her mortgage, which will be followed by her third car-loan refinance offer. In addition to the physical mail offers, she also receives multiple offers from NoName bank in her three email accounts, as text messages on her tablet, her two cell phones, and must also endure ads on her Facebook feed. NoName bank is definitely reaching Cathy with a message, but unfortunately their marketing spend is being wasted. Cathy already has a savings account and a credit card with them, but she is 19 years old, lives at home with her parents, and does not own a car. The actions of NoName bank clearly show that they do not know their customer or how she connects with them. It’s also clear they’re using stale customer data. Through their multiple connections with Cathy, they have only succeeded in annoying her. A customer GameDay Playbook gives you the planning capabilities and fresh data you need to make smarter marketing decisions: At the heart of the customer playbook is your customer graph, with your “always-on” first-party data as the core foundation. Second- and third-party data are integrated to build a complete picture of your customer and their interactions with you. Overlay that with targeted marketing scenarios based on sophisticated marketing planning and allocation that take into account all of your business drivers and online/offline marketing tactics. Roll in the priorities of all business units across your brand and now you are starting to play like a team that is ready to win. With a customer playbook, you can wargame various marketing scenarios to determine the best ways to target your key customers and even identify marketing tactics to avoid. If NoName bank had implemented a GameDay Playbook, they would have had coordination across business units to know exactly how many times they were reaching out to Cathy. They could have implemented marketing scenarios that rotated offers and had a frequency cap across all subdivisions to prevent brand fatigue. More importantly, with authoritative customer data, they would have realized that Cathy was not a target for all their business lines and they could have efficiently rotated in only relevant offers, such as a school loan. The GameDay Playbook creates a coordinated effort that puts your customer at the heart of every marketing decision you make across your entire brand. With all of your business units working from the same playbook, you will experience increased communication across your organization, along with improved ROI and effective customer acquisition and retention. Using a GameDay Playbook to coordinate your executive team around your customer marketing strategies can yield tremendous benefits for your brand’s business outcomes. Change starts at the top, so make sure your entire executive team is meeting frequently to discuss the potential strategies from your GameDay Playbook. In addition, set up bi-weekly meetings between Finance and Marketing to ensure these two powerhouses are in lockstep. Take a poll in your organization to determine how communication at the executive level is perceived. Do your employees think your organization is disconnected and lacks open communication? If so, set up communication opportunities so employees can better understand the company goals and key metrics. Whether it’s a weekly newsletter or a bi-monthly fireside chat with executives, give your employees a chance to hear from the top and ask questions. Re-examine how often your customer data gets refreshed. Make sure that data is continuously updated from an authoritative source. If your data is stale, 40% of your marketing spend will be wasted. Get clarity from your executive team which KPIs are core to your business. Make sure you have an agreed-upon definition of what each KPI is, to reduce possible differences in interpretation. Implement a technology solution that considers all of your business drivers, including online/offline marketing activities, as well as influence factors that are beyond your control. The analytics model should be built to complement your business and provide enough detail that you can accurately gauge marketing ROI across multiple touchpoints. Get some internal stakeholders to represent the voice of the customer. This cross-functional team should continually look at your business from the view of the customer and should bring that perspective into every aspect of your business.